ICTBroadcast facilitates its users to implement LCR technique in Routing. LCR synonym of Least Cost Routing is a process to find the most inexpensive way to route phone calls. It is the process of analyzing and selecting most economical path of outbound and inbound communications traffic . LCR can be configured in ICTBroadcast by adding the prefixes of available networks. 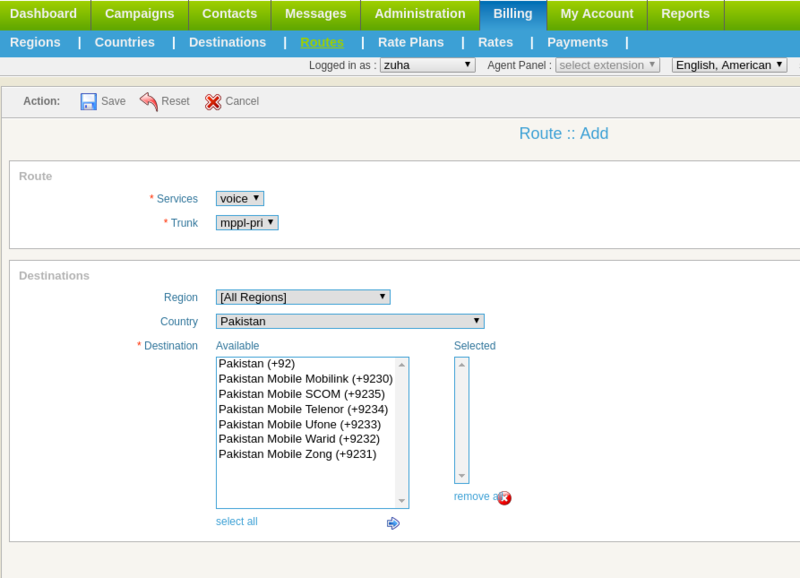 When a number is dialed, ICTBroadcast chooses the route which has the same prefix as number with most economical rates . However , in case of number portability, LCR could not be implemented and in such case CNAME module provide solutions . CNAME query gets the information about that number through OCN, on the basis of that information route is selected. CNAME query to provider as configured in ICTBroadcast settings. A provider gives us access of SS7 through which OCN provides us with the information about the number. SS7 is a set of telephony signalling protocols their task is to receive and distribute incoming signaling messages to the destination. A third party API helps us to get the information therefore while configuration we have to add the URL of this API. ICTBroadcast have to determine original Network Operator for given phone number when working with contact list, this can be done via CNAME query which provide these required information, i.e OCN. CNAME providers can be configured from Administration then System Configuration menu. Following are details about required fields. In case, API provider requires a phone number with specific format then ICTBroadcast will apply this filter on phone number before request CNAM data.